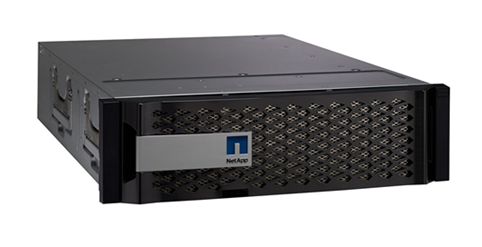 Today NetApp has dropped some huge news on the storage industry on Day 1 of NetApp Insight 2016 – An entirely refreshed FAS and All-Flash FAS (AFF) Portfolio and ONTAP 9.1! Introducing the FAS2600 – The next gen mid-range hybrid platform. 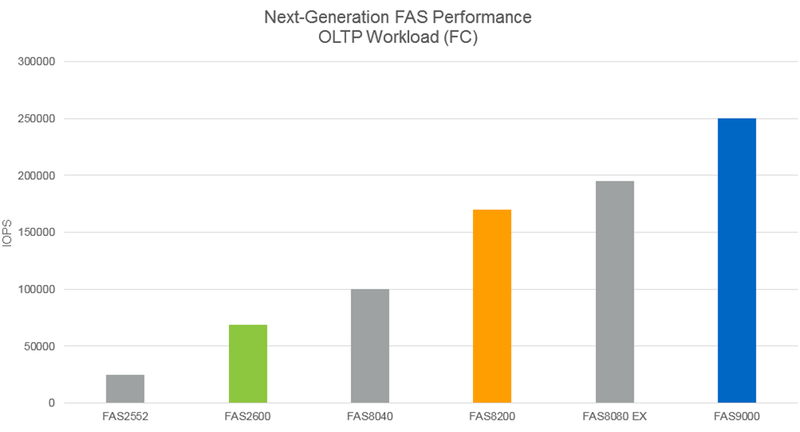 Published performance stats have the FAS2600 pushing over 100,000 4k NFS IOPs and 4GBps. How’s that for entry level? Some of the enhancements here are: Mini-SAS running at 12GB. 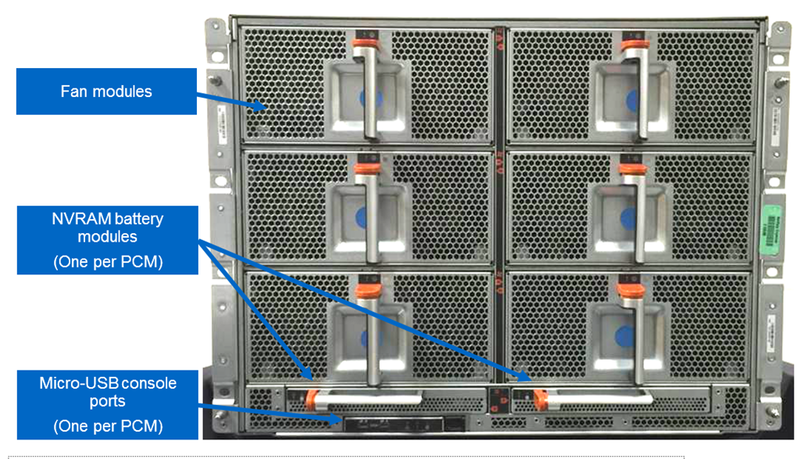 Two dedicated 10GB SFP+ ports for the cluster network, and four 16GB/10Gbe UTA2 ports. Oh yeah, one more thing. 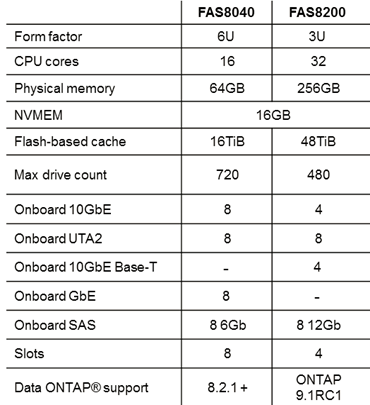 Every FAS2600 comes with 1TB of NVMe on board as FlashCache! Now every system in the field will get all the flashy goodness with some NVMe. 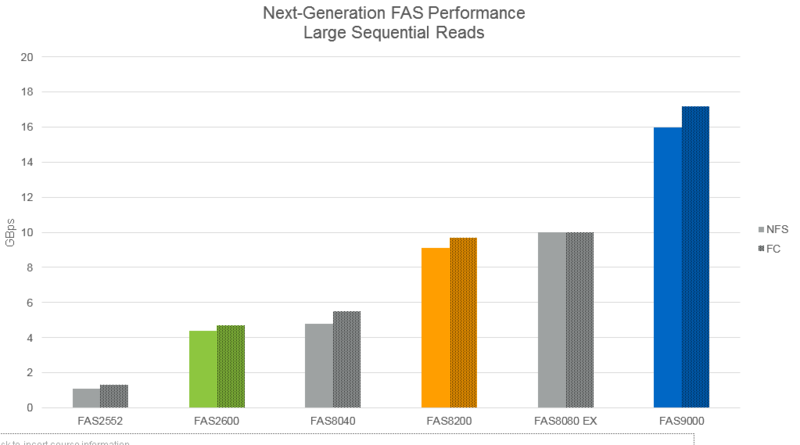 More to come on the FAS2600 when I get my hands on one. 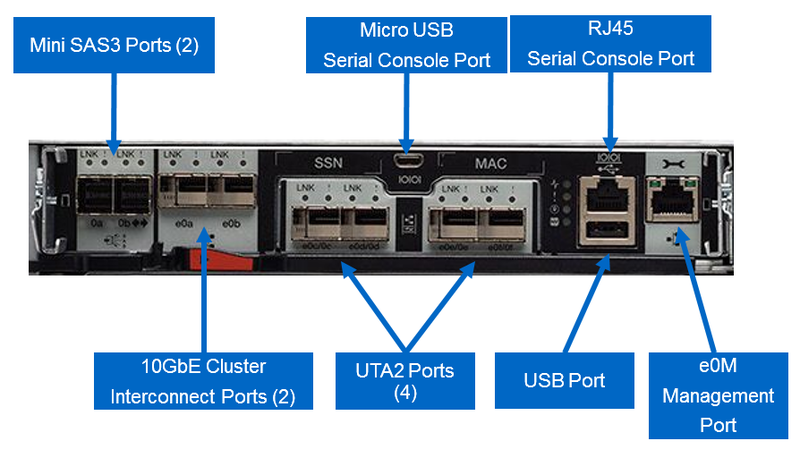 Some of the enhancements here are the four mini-SAS connections, 2 dedicated 10GBe ports for the cluster network and the 4 16GB FC/10Gbe UTA2 ports. This is going to be the most popular controller for the mid-range and most enterprise customers. They shaved 3U off the 8040/8060/8080 which is always nice. The performance on this box is going to be very competitive in the market. 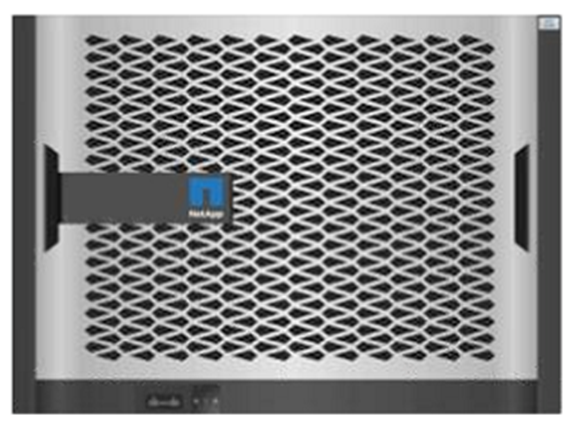 Ok, now for something totally unexpected from NetApp – An entirely new platform unlike anything we have ever seen! The FAS9000! Whoa, where do we begin on this thing. It’s an entirely new concept from NetApp. A completely modular chassis where every component can be swapped out individually. That means the the CPU controllers have been entirely decoupled from I/O modules and NVRAM. 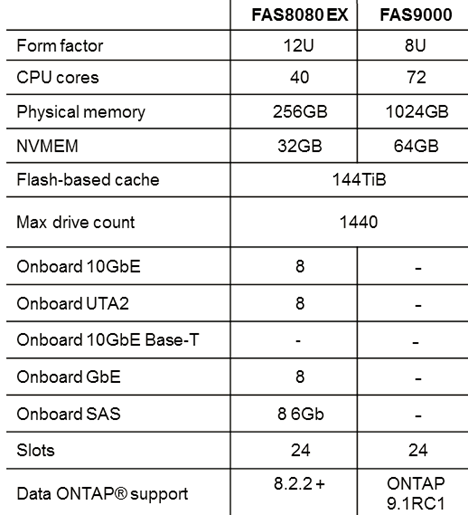 Here are some specs of the FAS9000 compared to the previous top end FAS8080. A nice bump in all categories. This should satisfy the largest of enterprise workloads. I think these numbers speak for themselves. 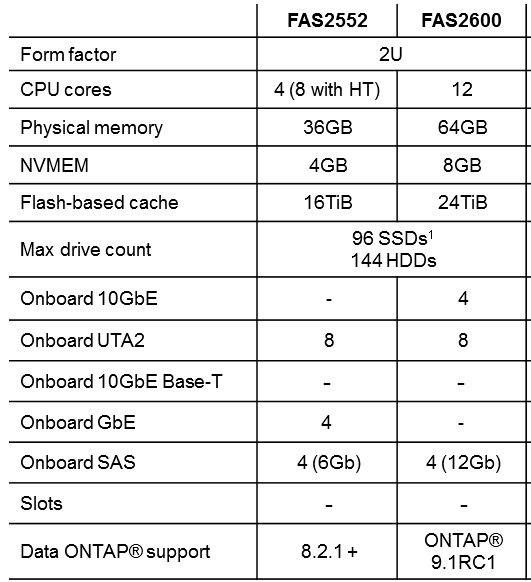 NetApp is really pushing the bar upwards on what a hybrid-array is capable of. Nice Work NetApp. 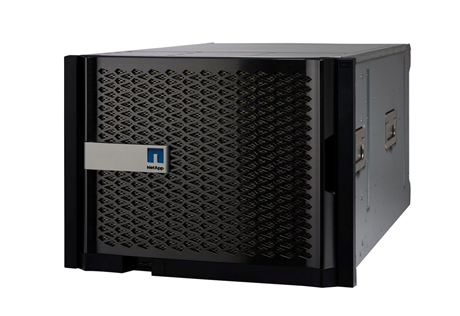 On the heals of becoming the first storage vendor to offer 15.3 TB SSDs in their All-Flash Arrays, NetApp is first to market with 40GB Ethernet and 32GB FC Support! The A300 is essentially the FAS8200 and the A700 is the FAS9000 with new bezels. 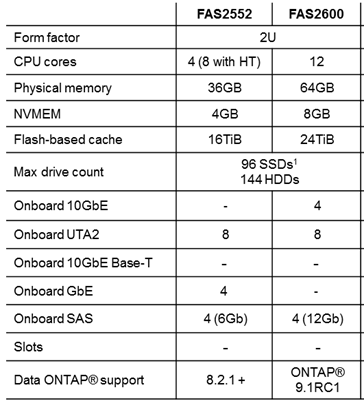 The hardware specs match the FAS8200 and FAS9000 systems. 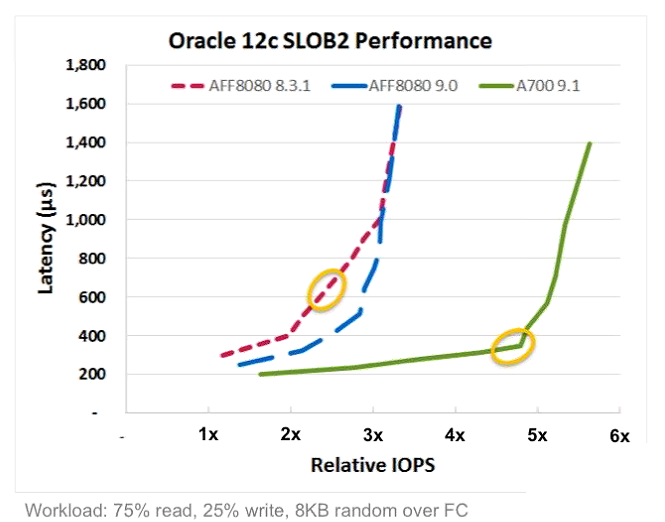 NetApp is estimating that the A300 can produce 50% higher throughput that an AFF8040, and the A700 100% improvement in IOPs at half the latency of a AFF8080. Not a bad step up in performance. Along with support for the new gen of hardware are two huge new features – Volume based encryption and “FlexGroups”. Finally! 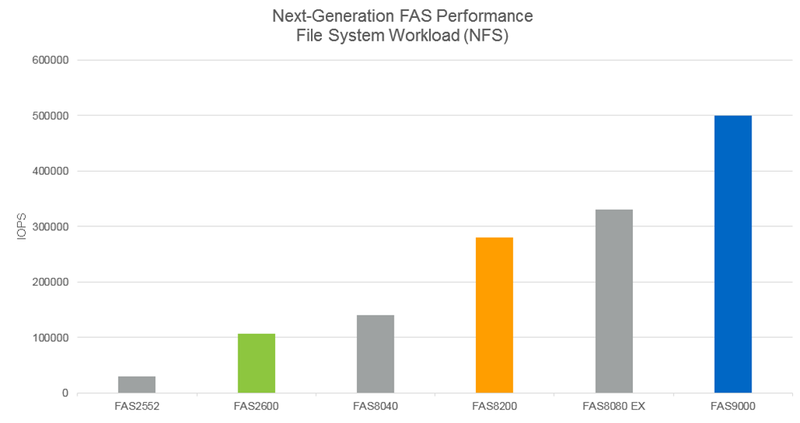 Encryption on FAS and AFF arrays that do not require special disk drives! 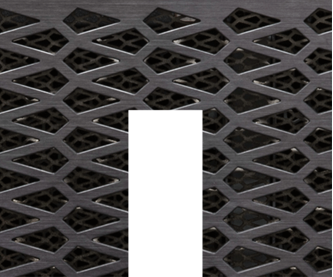 If you’re familiar with NetApp’s seldom used feature called “Infinite Volume” you will instantly recognize what NetApp is trying to do with FlexGroups. FlexGroups basically fix all the shortcomings of Infinite Volume and add a whole lot more to the picture. More to come of this feature as we get our hands on it in our labs. That’s it for now folks! Stay tuned for the latest updates coming out of NetApp Insight 2016!